A mission to investigate the atmospheres of planets around other stars has been selected by the European Space Agency for launch in the late 2020s, officials announced this week. 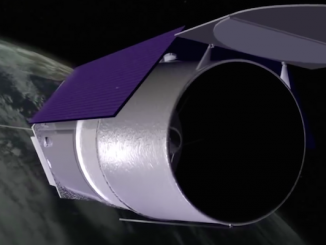 The space telescope will observe 1,000 exoplanets, using a spectrometer to measure the chemical make-up of their atmospheres. Astronomers want to learn about the chemistry of exoplanet atmospheres to study how the distant worlds formed, knowledge that could put our solar system in context in the cosmos. 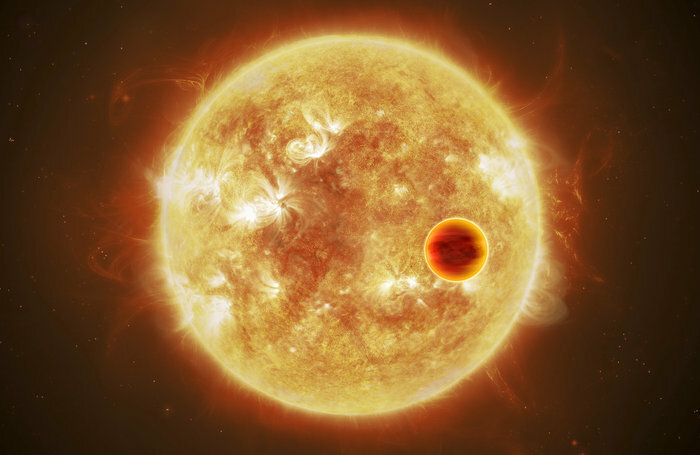 The Atmospheric Remote‐sensing Infrared Exoplanet Large‐survey, or ARIEL, mission will become the fourth medium-class mission in ESA’s Cosmic Vision plan, which picks the agency’s future space science projects in large, medium and small cost classifications. Development of ARIEL’s scientific payload and leadership of the mission’s science team will be based in the United Kingdom. A European contractor for the ARIEL spacecraft platform will be selected after ESA formally gives a go-ahead for the mission in 2020. ARIEL is not designed to find new worlds. Instead, ARIEL will follow up on the thousands of exoplanets discovered by other space telescopes, including NASA’s Kepler observatory and the Transiting Exoplanet Survey Satellite set for launch in the coming weeks. ESA’s Gaia mission, and future European space telescopes like CHEOPS and PLATO, will also expand the exoplanet search. ARIEL will also build on potential discoveries from the James Webb Space Telescope, set for launch next year. JWST carries a much larger telescope than ARIEL, but its scientific workload will be shared by astronomers probing a range of topics, from the emergence of galaxies after the Big Bang to planets in our own solar system. By contrast, ARIEL will be dedicated to exoplanet research. ARIEL will launch in mid-2028 on an Ariane 62 rocket from the European-run spaceport in French Guiana, departing to the L2 Lagrange point, a gravitationally-stable location nearly a million miles (1.5 million kilometers) from Earth in the direction away from the sun. Equipped with a meter-class (3.1-foot) primary mirror, ARIEL’s telescope will observe planets as they pass in front of their host star. A near-infrared spectrometer on-board the observatory will break apart the starlight that passes through each planet’s atmosphere, allowing astronomers to determine how much of it is made up by life-supporting molecules like water vapor, carbon dioxide and methane. 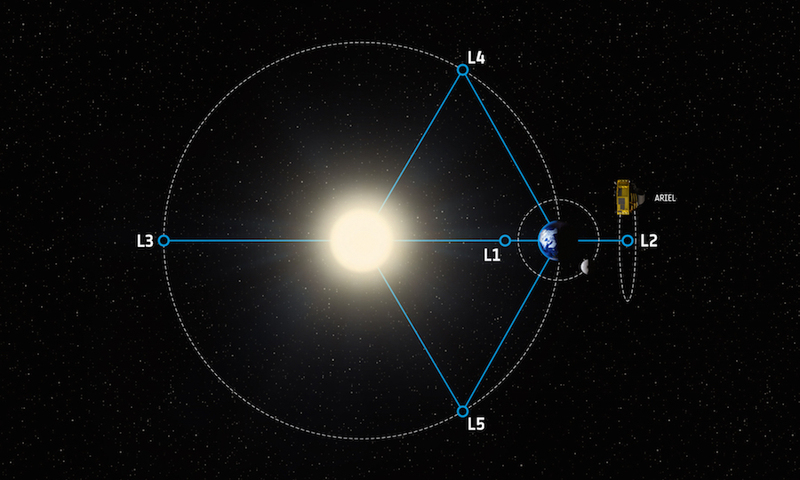 ARIEL will also detect the presence of metallic compounds, ESA said, allowing scientists to tie each exoplanet’s composition to its parent star. With observations of a wide range of planets, ranging from gaseous Jupiter and Neptune-sized worlds to rocky super-Earths, researchers hope to build up a statistical catalog showing how different types of stars may determine the chemistry of their planetary companions. The new European space telescope will focus on warm and hot planets in orbits hugging their parent stars. Heat energy keeps a planet’s atmosphere circulating and can pull out molecules from a planet’s interior, giving telescopes an accurate measurement of a faraway world’s bulk composition. Another sensor in ARIEL’s science package will be capable of detecting the presence of clouds in the atmospheres of exoplanets. Planned for a four-year mission, ARIEL’s repeated observations of the same planet will allow astronomers, in some cases, to tease out daily and seasonal changes as the world rotates and revolves around its host star. Some potentially habitable exoplanets could be probed by ARIEL, but the mission’s objectives focus on a broader set of targets. ARIEL builds on several previous mission concepts aimed at studying exoplanet atmospheres. But ESA passed over those proposals on cost and technical grounds. 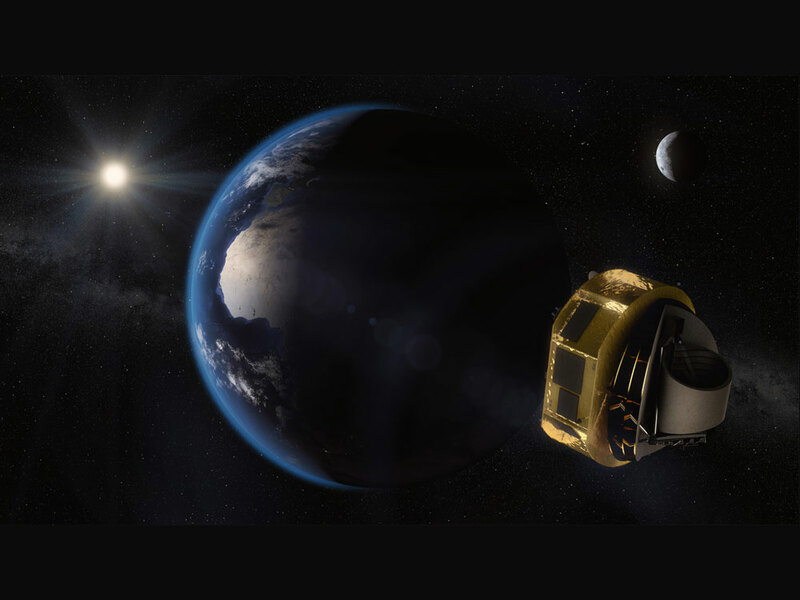 Tinetti’s team submitted the ARIEL proposal after ESA passed over a similar mission concept named EChO, which would have characterized the atmospheres of planets around other stars. ESA instead selected PLATO, an observatory designed to find new exoplanets and measure their mass, size and density, as the third medium-class Cosmic Vision mission. Scientists and engineers designed ARIEL’s instruments to cover a more narrow range of visible and infrared wavelengths, resulting in a simplified, lighter payload, officials said. ARIEL is expected to weigh around 2,900 pounds — 1,300 kilograms — at the time of liftoff. ESA’s cost cap for the mission is around 450 million euros, or $550 million at current exchange rates. That cost figure does not include financial contributions from ESA members, led by the UK Space Agency, which is set to provide a multimillion-dollar investment to support development of ARIEL’s telescope and science instruments. The ARIEL science payload will be assembled and tested at the Rutherford Appleton Laboratory in Harwell, Oxfordshire. France, Italy, Poland, Spain, the Netherlands, Belgium, Austria, Denmark, Ireland, Hungary, Sweden, Czech Republic, Germany and Portugal are also part of the ARIEL consortium. A U.S. contribution to the mission is being studied by NASA. 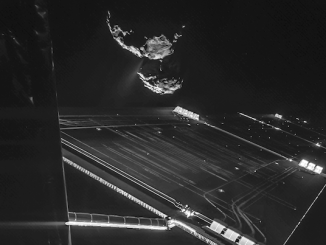 “It is thanks to the world-leading skills of our innovative space community that a UK-led consortium has been chosen to take forward the next ESA science mission. 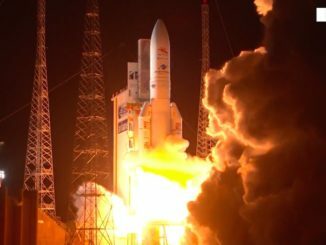 This demonstrates what a vital role we continue to play in European collaboration on research in space,” said Graham Turnock, chief executive of the UK Space Agency. ARIEL won in a competition against two other finalists to become ESA’s fourth medium-class Cosmic Vision missions: THOR, conceived to study fundamental processes in space plasma physics, and XIPE, an X-ray observatory designed to detect emissions from supernovas, galaxy jets, black holes and neutron stars.